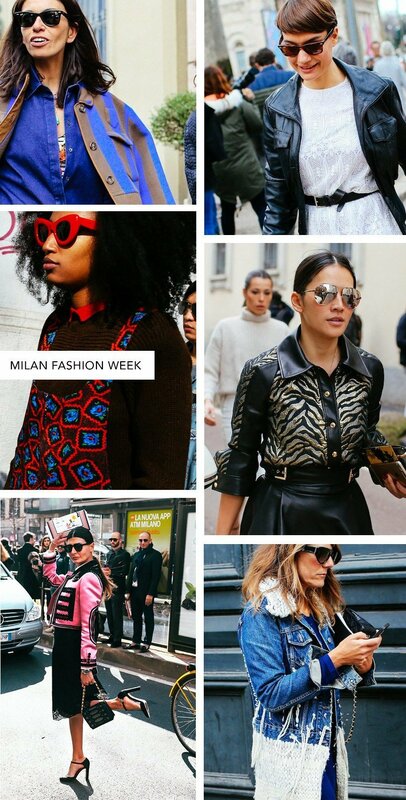 By no means did the street style slow down with the arrival of Milan Fashion Week. From head-to-toe, the fashion elite strutted their style in playful jackets, graphic elements, and touches of 70's fringe. But of courseâ€"our curiosity focused on the sunglasses trends. Once again, Wayfarers were the chosen Ray-Ban of choice. Which we love because they're reasonably priced (especially with a promocode). Mirrored aviator sunglasses in gold and silver reflected photographers and editors walking into shows. 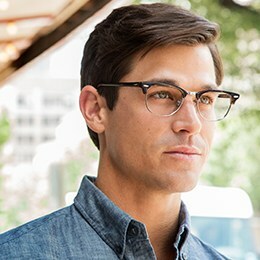 And the popular trend of mixed acetates with metal details popped up, too. Feeling inspired? Shop our stylish designer page here!